Autumn in the Northeast can be an incredible time of year. The leaves changing make any wooded area incredible to look at, football is back, pumpkin spice everything, Halloween, and cooler weather. 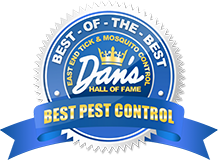 This cooler weather provides for another benefit, the disappearance of many annoying bugs and insects from our lives. Unfortunately, however, ticks are not one of those many bugs. As you will learn, ticks will remain active well into the autumn. 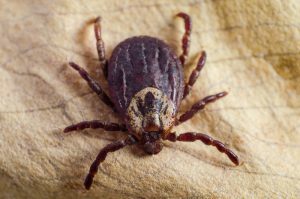 In this article is some information on how ticks survive in the autumn, and how to do tick control in the autumn. Ticks can remain active in temperatures down to around 40 degrees Fahrenheit. For Long Island at least this means they can be active all year long, and especially during Autumn. This means that while you’re enjoying the pumpkin patches and foliage the ticks are still out there looking for a meal. Not only that, but the cold weather doesn’t lower your chance of contracting tick borne diseases. There are, however, ways you can keep your yard inhospitable for ticks. Keep your grass short: although it will likely not grow as quickly as it does in the summer, it’s important to keep your grass short year round. Ticks thrive in long grass where they can latch onto the top of stalks in an attempt to find a host, and go back down if they need water. Keeping your grass short deprives ticks of these living areas so keep that lawnmower fueled up and ready to go as the leaves fall! Speaking of leaves, ticks like them even more than long grass. When leaves fall they create one of the most ideal nesting and living spaces for ticks. This is because they retain a lot of moisture when they are on the ground. A lack of moisture is a very big part of why ticks are abundant on the East Coast where it is more humid on average than the Midwest and West Coast. To avoid creating a haven for ticks, be vigilant about clearing piles of leaves when they fall. Also, be careful when raking leaves as they may already be housing ticks. Be sure to follow our advice on how to avoid being bitten by a tick when doing this. 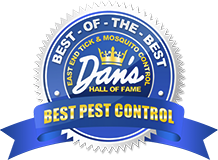 Along with both of these methods, a tick spraying done after clearing your yard of leaves, and cutting your lawn short will be excellent insurance for the fall, winter, and early spring for keeping ticks away from your property, and eliminating those that are already on it. Ticks remain a danger in autumn almost as much as they are a threat in spring and summer. Following the advice in here however, can keep your property clear of ticks regardless of what season it is.